Seriously, who doesn't love crepes!! Crepes for breakfast is a huge tradition on my husbands side of the family... Birthday's = crepes, Christmas = crepes, Special Occasion = crepes. My Mother-in-law makes them and these suckers are AMAZING.... The only problem is that an hour after I consume that little piece of heaven, I feel like CRAP (due to the sugar and flour)!! Sooooo, I thought i'd try to come up with a recipe that still tasted great and didn't leave me with a sugar crash, stomach ache, bloated, and the extra LB's!!! Hope you enjoy this low carb and gluten free treat... I know I do!! *If you don't want a sweet crepe, discard the sweetener. I am new to your site. 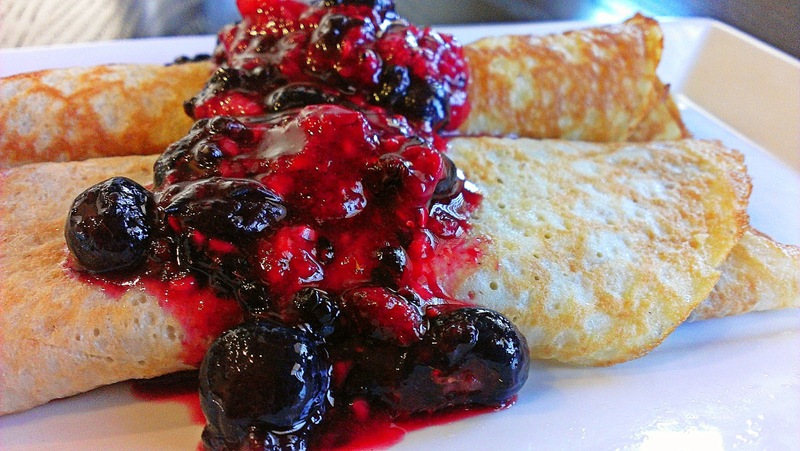 These crepes look wonderful. I would appreciate the nutritional values for them if you have figured them out. I will be checking out all the great recipes on your blog. Thanks for all your hard work. This recipe looks great! The only problem is I have an allergy to nuts, so I can't use almond flour. What would you recommend as an alternative, that would still be healthy? Going to make these tonight but am wondering about the blanched almond flour. Will try with regular Red Mill almond flour and report back! My batter was very thick. I tried to thin with milk but that didn't help. 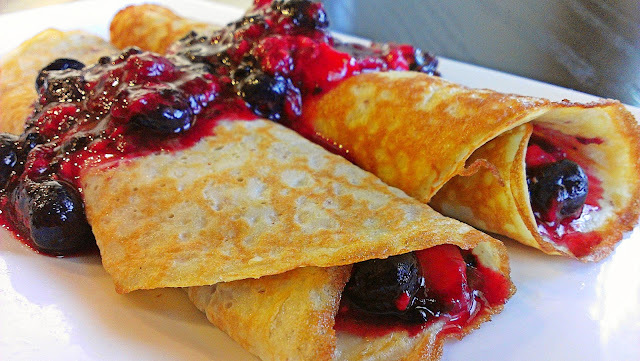 I had to throw it out and start over with a different recipe for crepes.